Humans are naturally born with the ability to know what foods they should eat, but over time our instincts and intuition have been compromised from the Big Business our food has become, which I will save for another topic! 1. Feed your soul with primary food. Friends and family, physical activity, spirituality, and a satisfying career feed us. Lack of primary food creates over-reliance on secondary, inedible food. 2. Drink water. Most people are chronically dehydrated. We often mistake thirst for hunger. 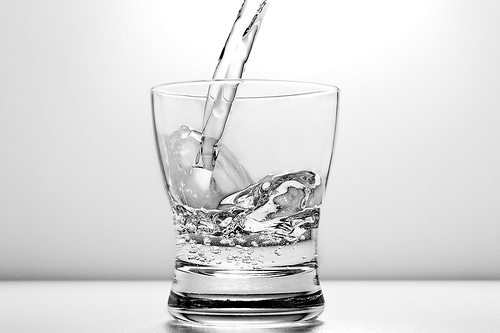 If you feel hungry between meals, drink a glass of water before giving into cravings. Limit liquid calories from soda and juice. 3. Eat a plant-based diet. Plant foods are typically lower in fat and calories and higher in filling fiber than meat, dairy, and processed foods, while providing loads of essential nutrients. 4. Chew your food well. Digestion begins in the mouth. By thoroughly chewing your food, your body will better assimilate nutrients; you will also slow down your eating. It takes about 20 minutes for your brain to register that it is full. By slowing your eating, you’ll feel full and satisfied on less food. 5. Eat real food. Avoid products with high-fructose corn syrup or a long list of unpronounceable ingredients. They tend to be highly processed, lacking the nutrients your body needs, and are often loaded with empty calories. 6. Eat breakfast. Skipping meals causes your blood sugar levels to peak and dip, affecting your energy and moods. It can also cause overeating later on because you’re so hungry. 7. Eat mindfully. Turn off the TV. Get away from the computer. Sit down and savour the food you are eating with no distractions. 8. Get moving. Do any type of physical activity every day. Find movement or exercise you enjoy. 9. Sleep, rest and relax. When you are sleep-deprived or stressed, your body will crave energy, causing cravings for sugary snacks and caffeine as an energy boost. 10. Schedule fun time. Boredom and stress can lead to overeating. Make sure to take time to laugh, play, and participate in activities that bring you joy.